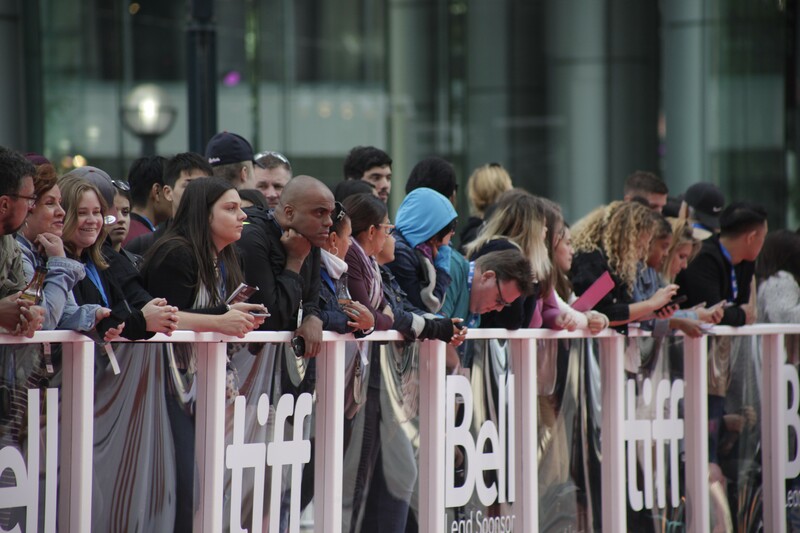 Especially in its frenzied first days, the Toronto International Film Festival is a thing of beauty. There’s a sense that most of Hollywood—meaning the stars, directors, producers, publicists, critics, bloggers and even everyday Angelenos—migrates north of the border, at least for a time. Lines regularly stretch across whole blocks as people gather in astonishing numbers. Sometimes, they spend hours waiting to see a movie that’s captured their attention, even when the odds of getting in are next to none. With seemingly more people in attendance every year, you have to wonder how much a single festival can grow—especially one that’s based in the downtown of an already busy city. Logistical issues are to be expected—delays are the norm, and some screenings carry an air of unpredictability. The first screening of Loveless on Sept. 7, for instance, was marked by an unusual occurrence. The Cannes-winning film, by Russian director Andrey Zvyagintsev, had to be restarted when organisers noticed there were no English subtitles. The audience was then made to rewatch the opening scenes—painfully slow-paced the second time around and, ironically, dialogue-free. Luckily that took nothing away from the powerful film that followed. To call it a drama wouldn’t do it justice; it aspires for tragedy on an almost metaphysical level. Although the premise is fairly simple, the audience is made to feel like there’s more to the film than what they can grasp. A man and his wife have fallen out of love and are going through a divorce. Neither seems overly excited about the prospect of caring for their 12-year-old son, who, in a nasty shouting match, is described as a burden. We observe the boy’s reaction as he overhears the exchange, his mouth widening in a silent scream. The next day, he eats his breakfast, exits the house and disappears. The rest of the film follows the parents’ search for the boy, assisted by a group of dedicated volunteers. What may come as a surprise, if you’re familiar with Zvyagintsev’s previous works such as Elena and Leviathan, is the dark humour which carries the first part of the film. Perhaps it could be attributed to the attitude of the main characters, who remain oblivious to their son’s feelings until he decides to act on them. There’s a sense of pervading absence, an emptiness of feeling that renders the search grim and nearly hopeless. The director excels at creating ambiguity, leaving many open ends and a sense of dread that lingers long after the film ends. The festival was studded with directors, fans and stars like Jake Gyllenhaal (pictured here). Photos by Elijah Bukreev. Another fantastic picture screened at TIFF was Joe Wright’s eagerly awaited Darkest Hour. It is an examination of Winston Churchill’s first days as prime minister, in which he struggles with a choice between seeking peace with Germany or pursuing a potentially annihilating war. The man is played by a fully transformed Gary Oldman, a performance that all representations of Churchill will now be measured against. Taking occasional liberties with the facts for dramatic purposes, the film reflects on an individual’s ability to shape history. It is infused with Churchill’s well-remembered wit and beautifully shot by Bruno Delbonnel. Delbonnel’s style is often evocative of 18th-century painting, proving that he is a master of colour and lighting. It’s easy to imagine the film as a companion piece to Dunkirk, to which it will inevitably be compared. It is also something of a mirror image to Downfall, which depicted Hitler’s final days. Wright had already created unforgettable Word War II scenes in Atonement, and here he draws the viewer into the conflict through the eyes of the British government. Churchill is strongly disliked at first, and the existential threat that the country faces does not impede any customary political games. He is evidently a figure of fascination for the director. The camera rarely leaves Churchill’s side, sometimes framing him as a man in complete isolation. This gives Darkest Hour an effective theatrical feel, and makes it a superb character study that reflects not only our evolving view of history, but also the current political anxieties which may colour your perception of the film. If there is one final mention to make, it has to be mother!. The oddly titled new picture from the masterful Darren Aronofsky is a divisive film that has infuriated some and delighted others. A much sharper and altogether more accomplished biblical allegory than the filmmaker’s heavy-handed Noah, mother! conveys the feeling of an extended fever dream, much like a nightmare scene from Black Swan extended to feature length. Set in a secluded Victorian house, it follows an obsessive poet (Javier Bardem) and his young wife (Jennifer Lawrence) who must deal with the arrival of a number of unannounced guests with unexpected consequences. The focus of the film is on Lawrence’s character, who is subjected to increasing tension. Rejecting any kind of realism, the film progresses like a raging wildfire, climaxing in a scene of utter destruction. Those hoping for conventional horror are bound for disappointment, as this is an artful mind game that defies traditional storytelling. It is an experience both intensely creepy and thoroughly entertaining. The film unfolds with a dose of humour, taking great pleasure in creating multiple levels of meaning with every turn. Sure to provoke heated debates and fanatical analysis, mother! is an absolute success. A puzzling, unpredictable and uniquely cinematic treat. While mother! is already out in theatres, most of the films screened at TIFF will take longer to get to you. When they do, you should also look out for Joachim Trier’s stunningly shot Thelma and Martin McDonagh’s gripping Three Billboards Outside of Ebbing, Missouri.